There are plenty of rumors coming out about the new Sony APS-C camera and we’ve put together the info for some helpful details of the future model. We’re anticipating that the new model is going to be the new Sony APS-C mirrorless camera, even if we’re lacking some hard evidence on the matter. We definitely don’t expect a triple-digit naming as it’s going to come in contradiction with Sony’s older full frame SLT models (A900 is one). The same principle applies in the case of double-digit naming system. Why do we expect a new model? 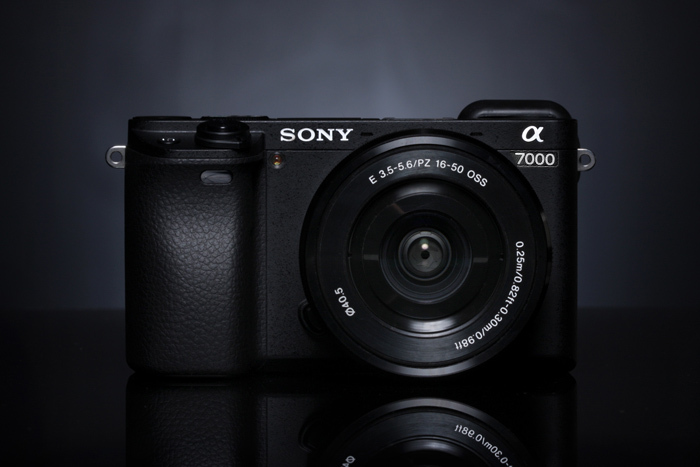 The name A7000 is a bit logical as it’s going to be a step up from the current A6000 range. We’re not ex. As we all know, the 20MP Sony A5100 was launched in 2014 and it has slowly become really affordable for most. Truth be told, it’s the A6000 series which is maintaining the Sony’s APS-C range on going. The late A6000, launched back in 2014, is quite a dependable low-cost/high power camera addressing the enthusiasts. We all welcomed the A6300 came in 2016 with 4K video and a better focus or the A6500 with its in-body stabilization and big buffer for continuous shooting. At the moment, each of the aforementioned models is on sale. The A6000 comes for a bargain price, the A6500 is the most advanced option, whereas the A6300 sits rather in the middle. The models use the same rectangular rangefinder-style body, which doesn’t really match the type of lenses that Sony is currently developing not the high-speed video/action abilities at the moment. What can we say about its looks? 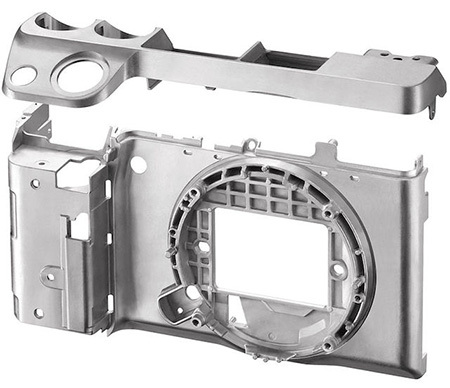 It seems that the new camera is going to look a lot like the full-frame A7 and A9 models. It’s going to feature an electronic viewfinder mounted on the top of the camera in line with the lens’s optical axis. Its ergonomics are going to be improved. The electronic viewfinder is going to be placed in the center and not off to the side, simply because many are going to use the LCD. This new placement is going to create more room for a better EVF with higher magnification and a more reliable eyepiece so that the blocking out ambient light is easier. The 3,686K-dot resolution EVF is something we all want, but it all depends on Sony and if it’s designing a high-end camera or not. The centrally positioned EVF is going to give the A7000 a classic DSLR-appearance which is something that anyone looking for a serious appearance is going to like. chances are that the displays are going to be “blackout-free” so there aren’t going to be any black flashes during the burst shooting when using the electronic shutter. We think that the camera is going to be similar to the Fujifilm X-T3 with good abilities to handle the larger lenses and attractions for the DSLR converts and enthusiasts. As for the build, we don’t expect nor consider that some improvements are mandatory for the new model. The current A6500 already comes with a magnesium alloy shell and weatherproof build, so that’s good enough for most. What is the Sony Alpha A7000 going to be? The rumors state that the Sony Alpha A7000 is going to be Sony’s next top-end APS-C sensor camera, right after the amazing A6500 that was launched in 2106. We’re not even sure about the name but if you’re paying attention to the leaks (Sony’s line-up and upgrade schedule), we can definitely have a better image of what to expect. Should you still buy the Alpha A6500? Is the A7000 going to be a better choice than the advanced and full-frame Sony Alpha A7 III? The debate is still out and scrolling down may give you some help. What sensor are we expecting? Do we have any specs? Some appreciate that the APS-C cameras have already got to the maximum megapixel ability. The A6500 comes with a 24.2MP, whereas the Fujifilm X-T3 has a 26MP sensor. This hasn’t stopped Sony from announcing a higher resolution 31.49MP sensor. Before this one particular sensor got announced, some leaks revealed that it’s going to be used in the A7000 (on the side note, it may also be named A6700). The chances for that situation are rather slim as the sensor is listed for industrial use and not for the consumer camera. The new mirrorless camera-ready sensor is the IMX571 and some think it’s that’s the same used by the Fujifilm X-T3. It’s quite possible that the A7000 comes with the same core sensor. Unless, Sony has another surprise for us. Is the five-axis stabilization expected? The amazing in-body stabilization is one of the main assets for the Sony’s mirrorless cameras. It’s an effective feature for the ordinary handheld photography, especially when you need to use a tripod for some work shots and want to have some fun with the camera. The five-axis stabilization hasn’t really come out just yet, so it’s rather something that we’re all routing for. The popular A6500 had it so why not the new model? We’re hoping for 5.5 stops in the A7000 but any improvement is going to be more than welcomed, especially in terms of stabilization. Are the video skills going to impress? Even if the traditional stills aren’t the best solution for making image quality, you are going to be able to go on video. Some suggest that the Alpha A7000 is going to be quite a lovely surprise for the videographers. 60fps, 4K video capture, 10-bit capture at 30 fps are to be expected. They’re not impossible especially if you take a look at the processing progress ever since the appearance of A6500. Now that we’re on it, let’s remember that the A6500 is able to shoot 4K video at 30fps, at a 100Mb bit rate. Maybe the 1080p frame rate may grow to 120fps, for 4x slo-mo. No matter if Sony is going to provide max out on slo-mo modes and provide 960fps shooting or not, one can only wait. Is it going to have 20fps burst shooting? The Bionz X used for the Alpha A9 allows shoot bursts at up to 20fps, with exposure tracking and focus. We’re expecting for the A7000 to come with same burst speed and an upgrade over the A6500 (only 11fps). This speed is going to require an electronic shutter and the Fujifilm X-T3 is able to accomplish similar speeds only when the mechanical shutter is removed from the equation. A larger buffer is going to help Sony in this case. We cannot wait for the features of the Alpha A7000. The design is the most impressive change. Since it’s going to come with an elevated status of the EVF, the Alpha A7000 is going to be easier to use, especially if the viewfinder is also going to be improved. When is the Sony Alpha A7000 going to be announced? We’re expecting for the Alpha A7000 to be announced in late 2018, especially since we all know that Sony really likes the late-in-the year announcements. Latest rumors suggest that it’s going to be launched in Spring.2019. As for the price, one can only hope that it’s going to be cheaper than the current Alpha A7 III ($2500 body-only), but pretty competitive with its opponents from Fujifilm.